We often get asked for sample audio files so only made sense to make a blog containing said files. These sample files are the .ds2 audio files created by the pro digital dictaphones from Olympus, Grundig and Phillips and set the standard in the digital dictation world especially for confidential audio, hence the popularity with legal and medical authors. 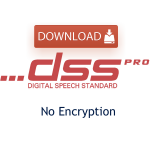 The DSS (Digital Speech Standard) has been around since 2005 when Phillips, Grundig and Olympus collaborated to create the .dss audio file format, a format that kept high quality audio but squashed down the audio files size. Back then WAV was a popular open format but its file sizes were huge compared to dss and made it difficult to email around. Then in 2009 DSS evolved into DSS Pro and the .ds2 audio file format was created. Again like .dss the focus was on great audio quality and small file size but this time with a twist, encryption. As confidential audio was starting to fly around the internet the need was there to protect that data and so .ds2 was born with the option to encrypt or not encrypt. .ds2 is the file format we commonly see now in all the Olympus professional digital dictaphones and with the Olympus Dictation App for iPhone and Android, still the only dictation app available which can create and send .ds2 encrypted audio from your phone.